I got my first glimpse of the Arapaima while watching Robson Green's Extreme Fishing. Imagine the thoughts in my head when my fishing guide BKKguy guaranteed me some Arapaima when we changed the location from Boon ma to Amazon Lake. The thought that i would be catching a species regarded as one of the holy grails of freshwater fishing was coursing through my mind from the moment i touched down at the airport to the moment that i made my last cast there. Yes if you don't know yet, i am in Thailand trying to do a Robson Green! 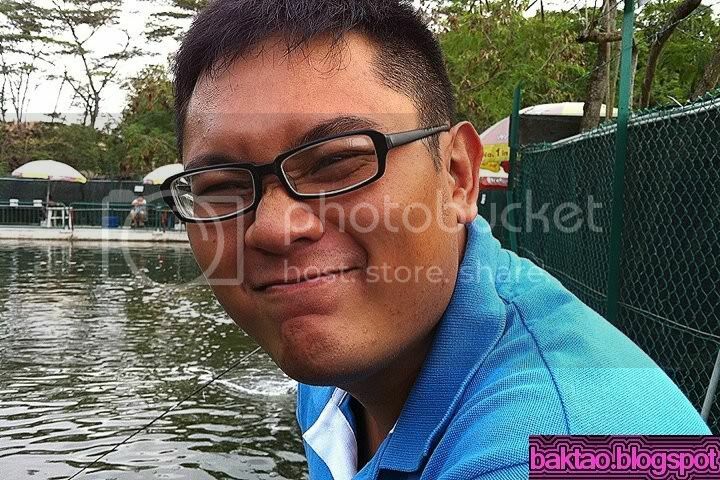 I'm trying to get my first Mekong Catfish and Arapaima with the help of John(bkkguy) who has been a guide there for many years. He speaks English, Chinese, Thai and was the best choice for the mission. 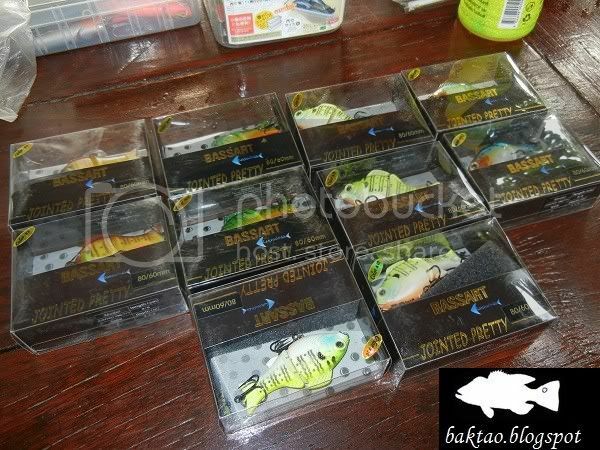 John advised me to get some small lures for the fishes as the fishes like to take small lures there. In addition, he got for me some baby giron to try out at the pond. But the secret weapon was only unveiled to me when the fishing started. It was EASY TO USE and the best thing was that anyone can use this method and get a fish. i brought my own tackle with me so AG and me had a set each. AG was using the Shimano Bassterra 10-20lbs with a Team Daiwa Tierra 3000 spooled with casting PE 2.5. But i was using a very softy setup of a Zeus Inox 5-10lbs with Daiwa Caldia Kix 2000!!! 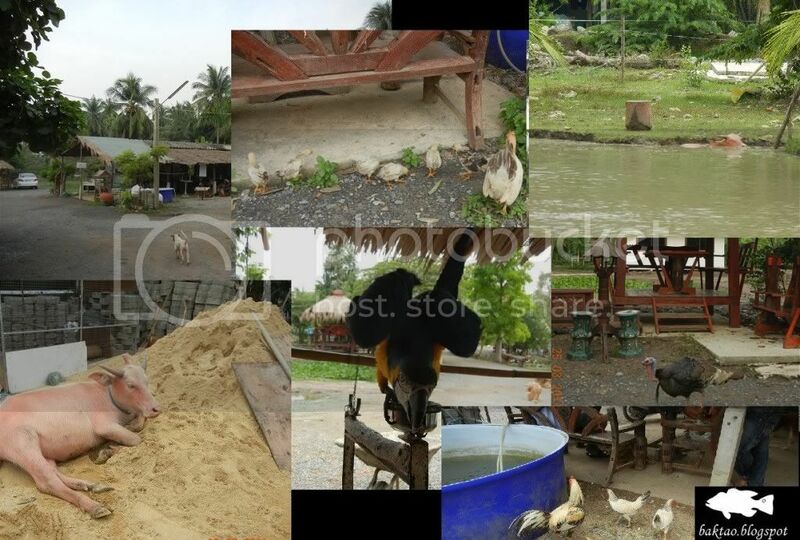 The first thing you will notice about the pond is that the whole area is very clean and full of animals! It was really like fishing with Animals. It was also not crowded on that day and we were the only group that started fishing! John let me try my setup first while he scooped some small fishes to rouse the fish up from their sleep. Within a few seconds of dumping the small fishes to feed the big ones, we heard the distinctive "POP" of the Arapaima feeding all around us. Some were even right below us. We started casting and working our artificial baits and on my first cast i hit something which was taking off at high speed! Yes!!! And Noooo.... my line was bust when i tried to strike!!! !#%@!$ There goes my very first Arapaima! AG was having a different time though and her reel went screaming. After a good clean fight, her first Arapaima of her life was up! I must say... we felt like Robson Green! A quick switch of tackle was done and John loaned me his tackle for the remainder of the trip as my tackle was too light. After a few casts... Boom! Fish on! 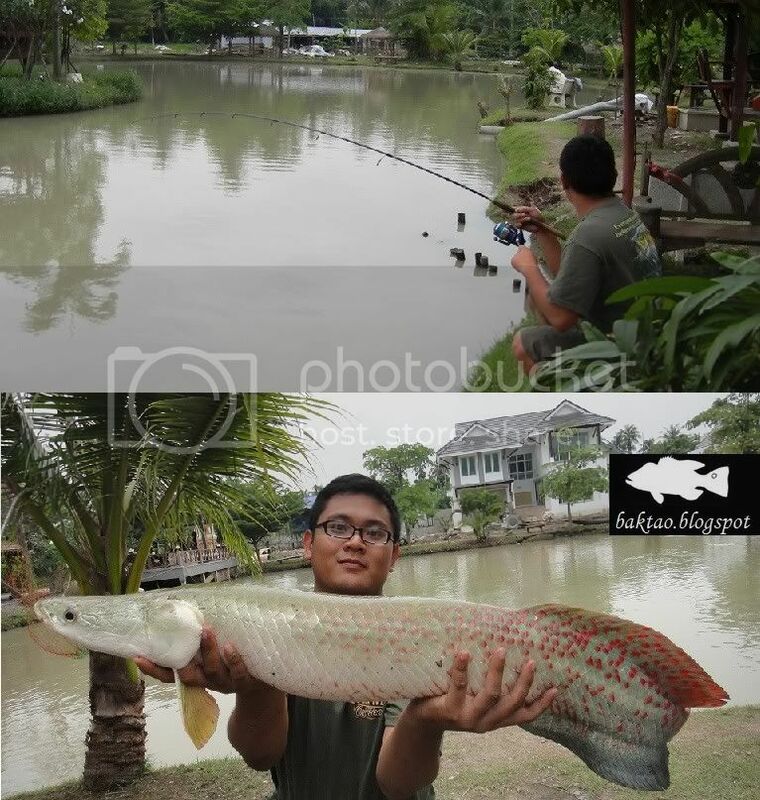 The fish was hooked and it was another Arapaima! I had the upper hand and landed the stubborn fish. 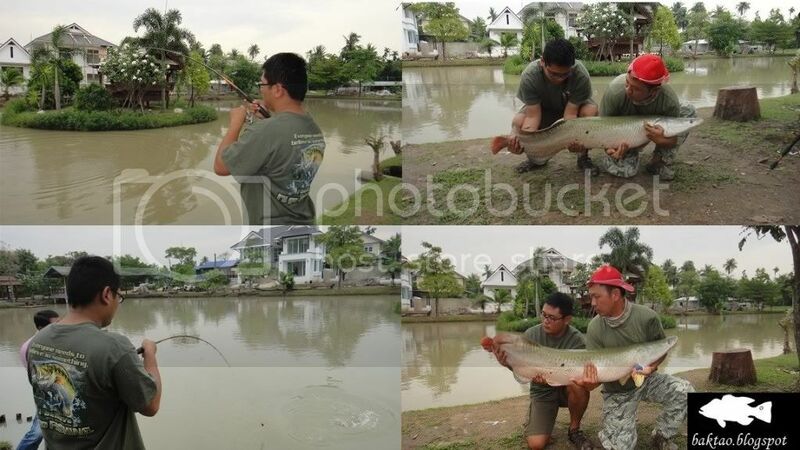 The fight of an Arapaima was almost the same like fighting a seabass.... but it had more stamina! 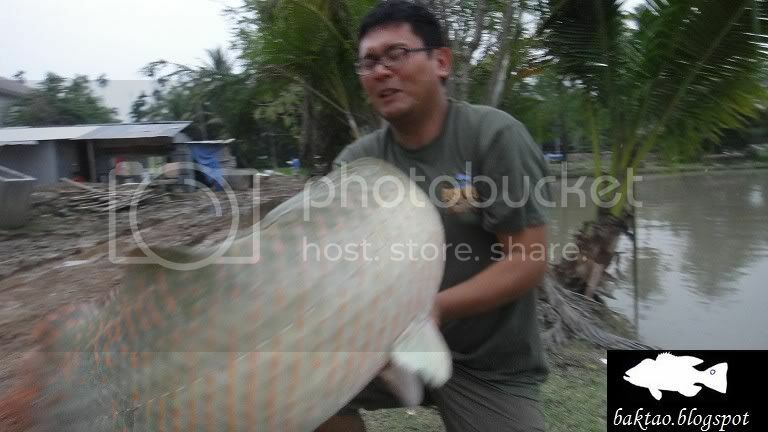 My Arapaima weighed in at 40kg and i was too excited to care about anything! 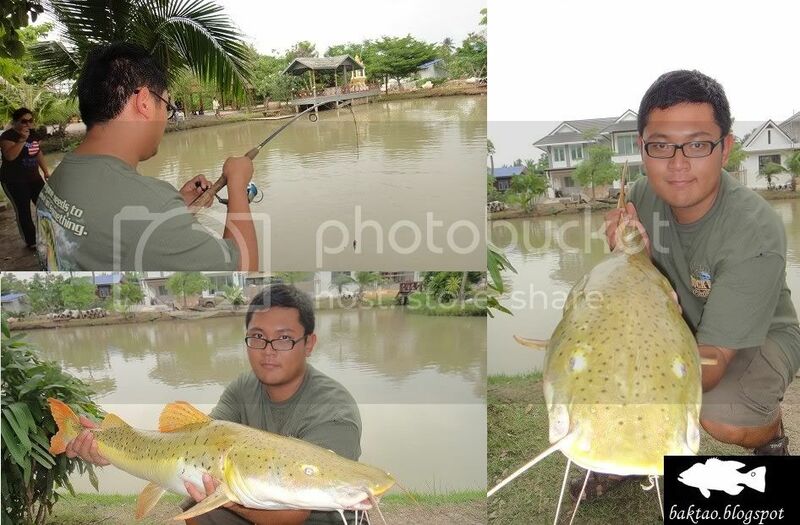 The expertise of John was VERY crucial when fishes are landed as anglers are usually not focused or do not know how to take good pictures with the fishes. 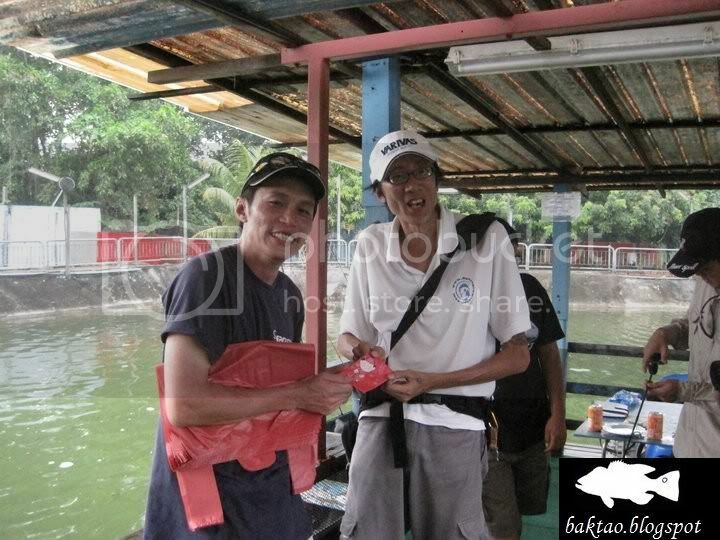 John's experience meant the fishes were handled carefully and released in good timely fashion. It is during this time that i truly appreciated a fishing guide. 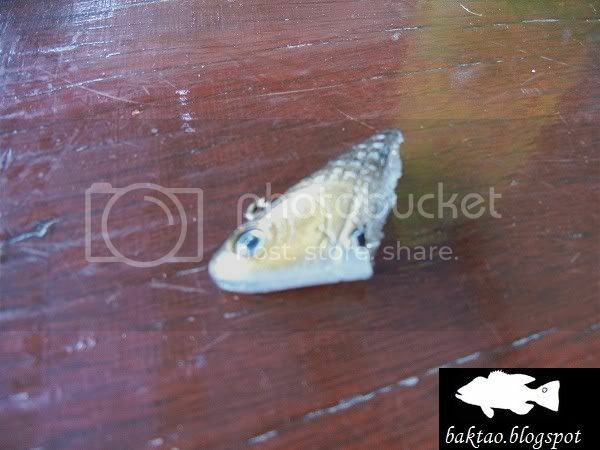 Having landed our objectives, i started casting some rubbers and got a big hit but the fish managed to pull off the metal body of the lure and leave me with the head! What fish was that? We had a few hits in between before lunch. 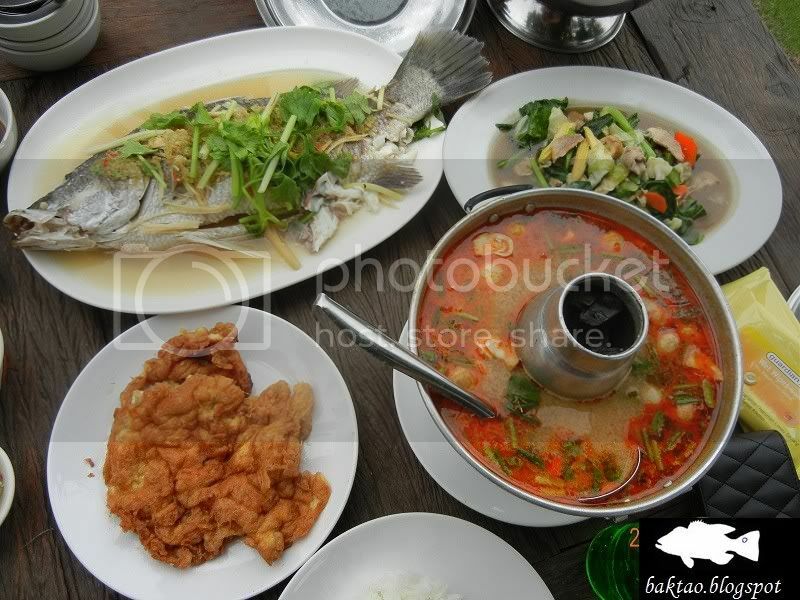 And what a great lunch we had... Cheap, good and refreshing. 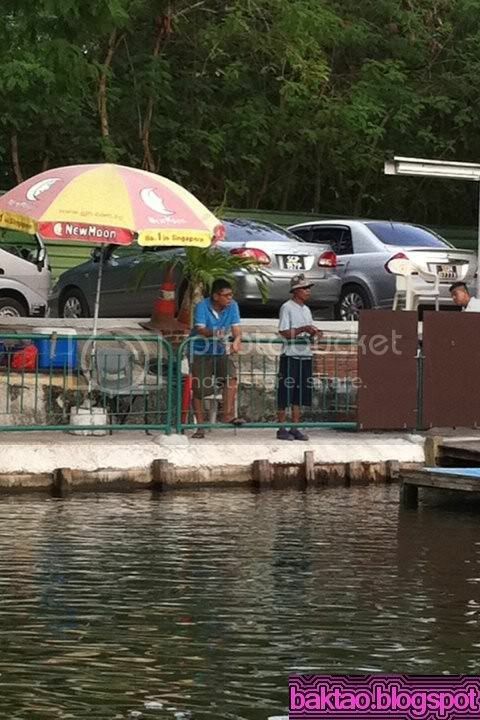 AG and me then landed a few more fishes including some more Arapaima and even the Tiger Redtail Catfish hybrid fish. It was amazing because i had landed redtail cats before but this cross breed of redtail fought harder because it had a sharp design. It was more powerful than the usual red tail! After me and AG had given up for the afternoon, John took out a Baby Giron and made a few casts. 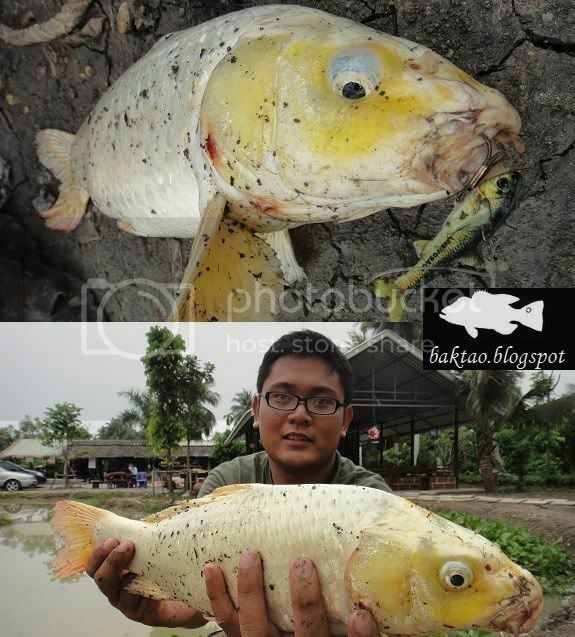 All of us were amazed when he managed to hook onto a Pacu! Last one of the day... and what a great shot! After the few fishes for the evening, all of us went home for the night satisfied and very exhausted. 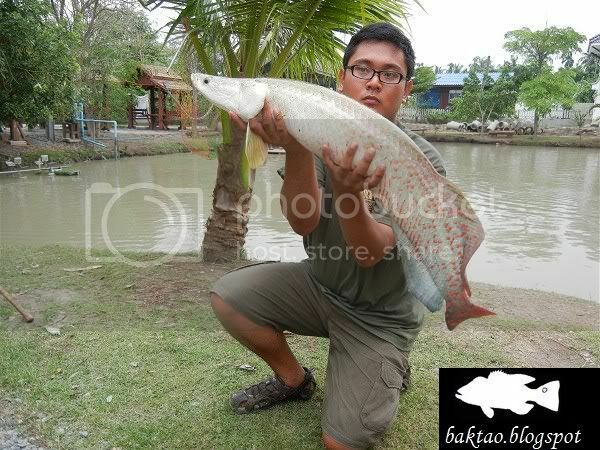 I landed 2 Tiger Redtails and 5 Arapaima while AG landed 1 Tiger Redtail, 1 Pacu and 3 - 4 Arapaima. That was alot of fish for the 2 of us!!! I'll be posting up Day 2 of the fishing next. 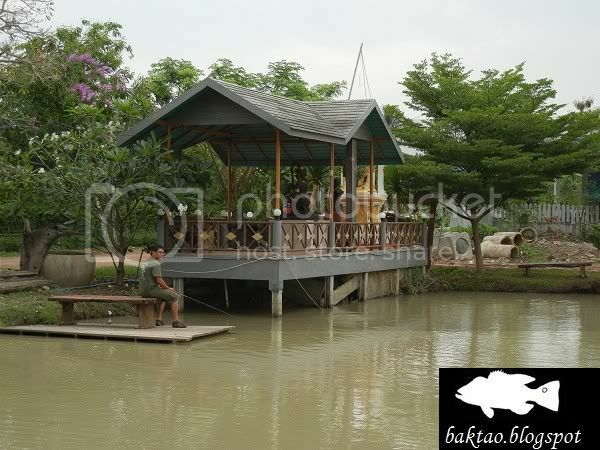 It will be for Mekong Catfish at the famous BSR(Bungsamram) that even Robson Green visited!!! 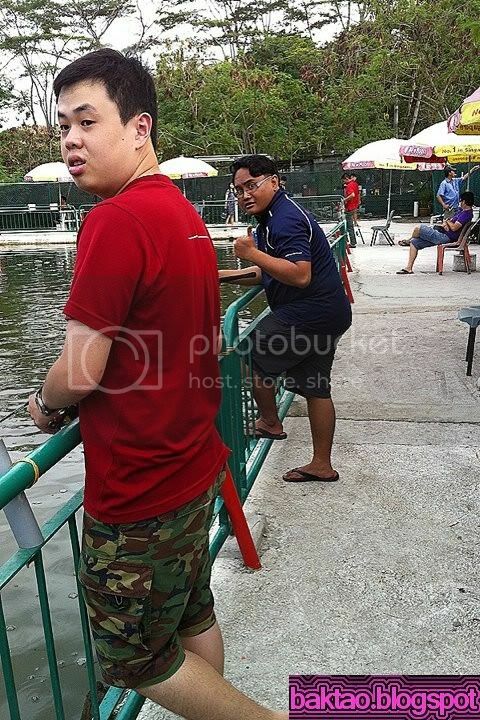 If you're seeing this post, it means i'm at Thailand fishing! 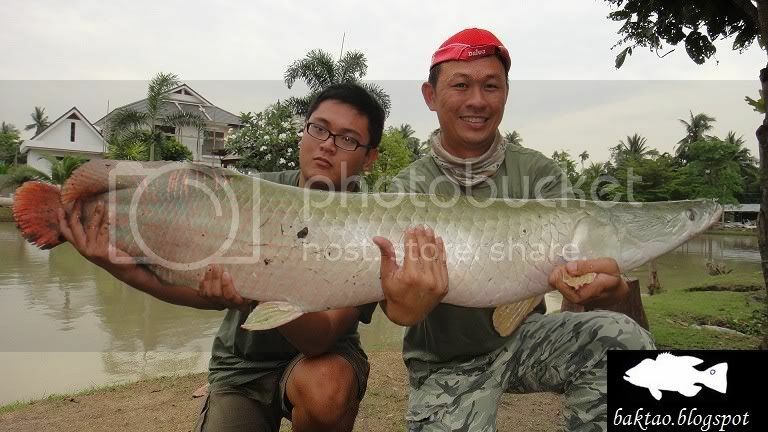 I'll be trying to do a Robson green and will be aiming for my first Mekong Catfish, Arapaima and Alligator gar! Ok back to the post! There was a good strong response for fishing at Aunty's Pond one sunday and within a space of one week, we made it happen. Full credit to Alan for him to put together such a trip so fast. 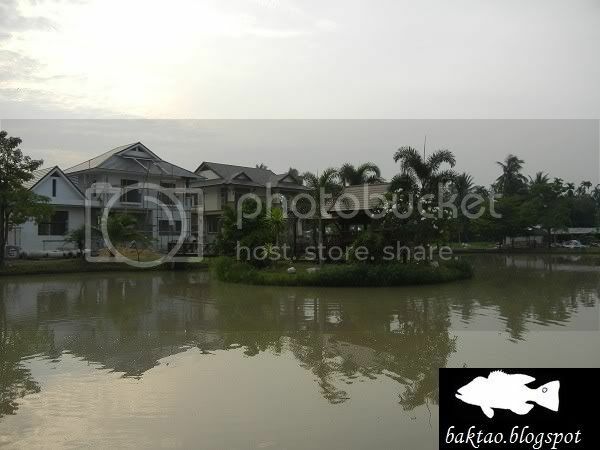 For the booking of the pond, you have to arrange to buy the fishes, arrange the booking and so on. 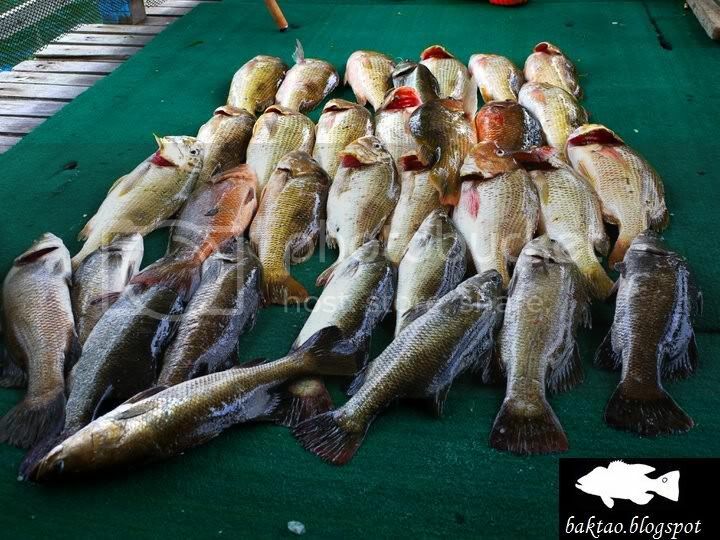 The booking of the pond is $500 and fishes are $10 per kg. Fishing from a paypond is very common in Singapore as we don't have lots of productive fishing areas but we have loads of fishermen and that creates a unique market for setting up ponds which stock up fishes for fishermen. 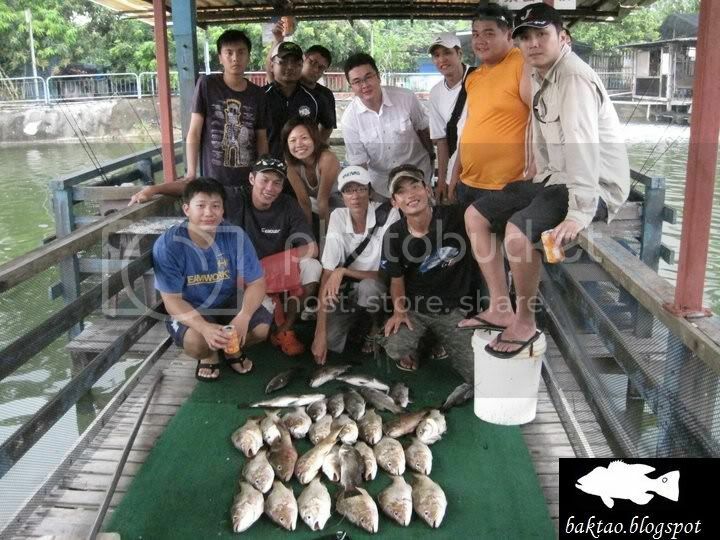 For that day, we bought Barramundi and Golden Snapper to be released. We released about 70kg of fish i guess. That's around 70 fish roughly. Okay let's get straight into the action. All of us were shocked when we reached the pond. The reason was because it was CRYSTAL CLEAR. We could see the fishes hanging around each other. 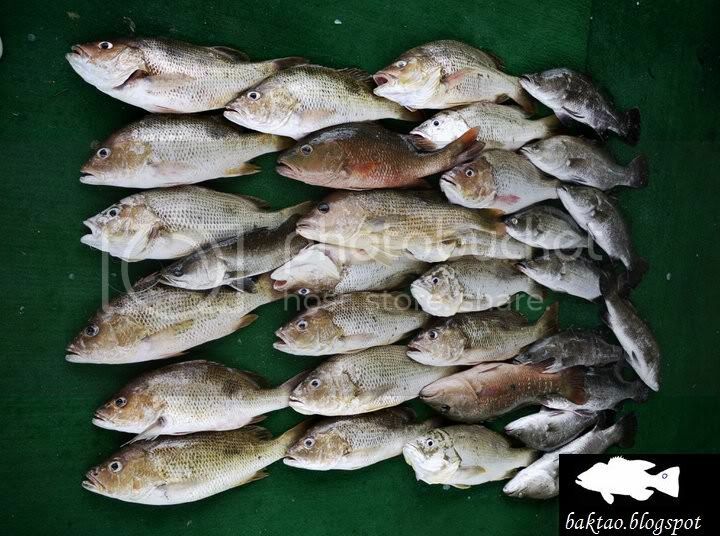 These were the leftover fishes from the previous day's booking! Some big barras were sighted. The clear water took away some fun and even made it harder to get fish when we started fishing. The fishes can see the lines and hooks... so you guessed it... They refused baits and lures. I used a light leader of 12lbs and the fishes seemed more receptive to light lines but bringing them in was hard as they would dash to the structures. 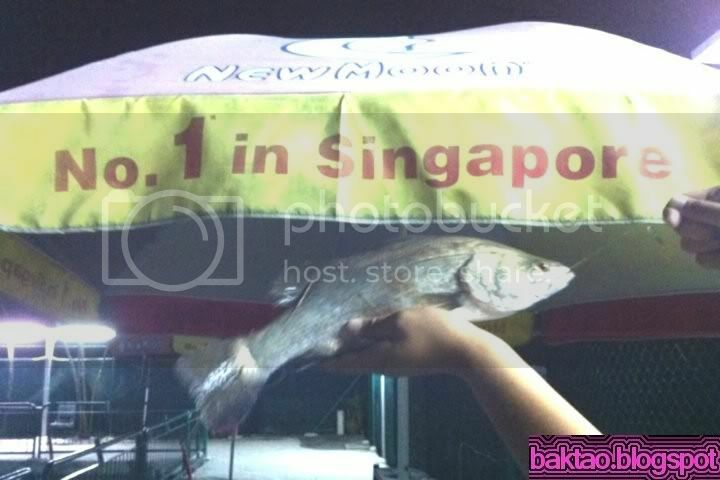 Only a few fishes were landed till the cages were released and our fishes were let out. Sadly, the golden snapper hung around the cages after release and this made it easy for them to dive into the structure when they got hooked. We lost many fish this way but we still had fun! There was a mini competition going on for those who were fishing. The top catch will get a $100 cash prize. Here's a quick post. 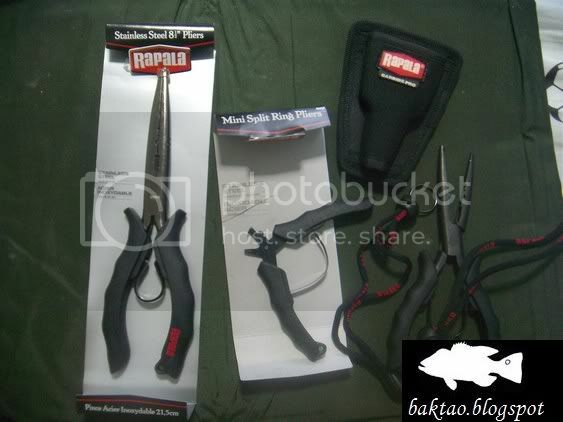 Recently, my orders for some tools from Rapala has arrived. 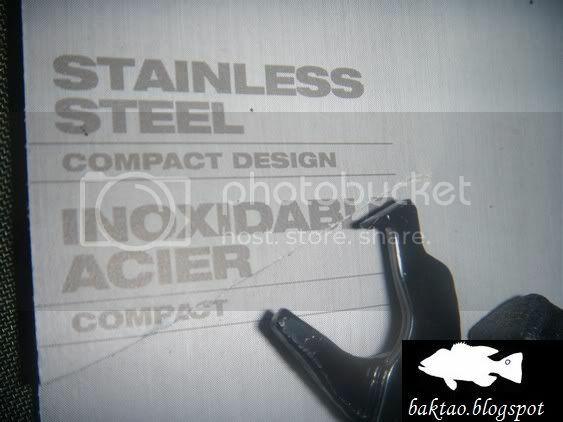 I'm getting them for my fishing trips to come. 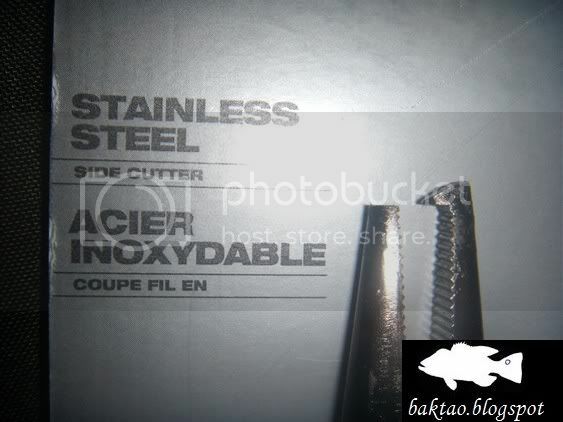 So far i've tested the carbide pliers and the plier is okay for the price. 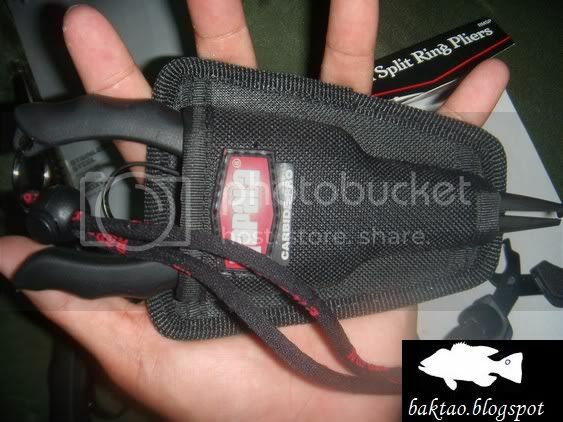 The braided line cutter is not bad but everything is always not bad when it's new. Let's see if it's still not bad after some usage hahaha. I will be very busy with my exams and work commitments this few weeks. I will even be starting to look around for a new job very soon after i finish my time in the Army. I'll still be having trips here and then but for the next to weeks, i'll be having a guest blogger who will blog about her experiences during the aunty pond trip, some fly fishing stuff and other things she might wanna share so at least the blog will be active. I'll be doing some pond fishing tomorrow as well. Alan, me and a few of our friends have come together to do a private booking. We'll be releasing fishes so we expect a good time. I'll be having my exams and will be very busy with my job for the next few weeks. 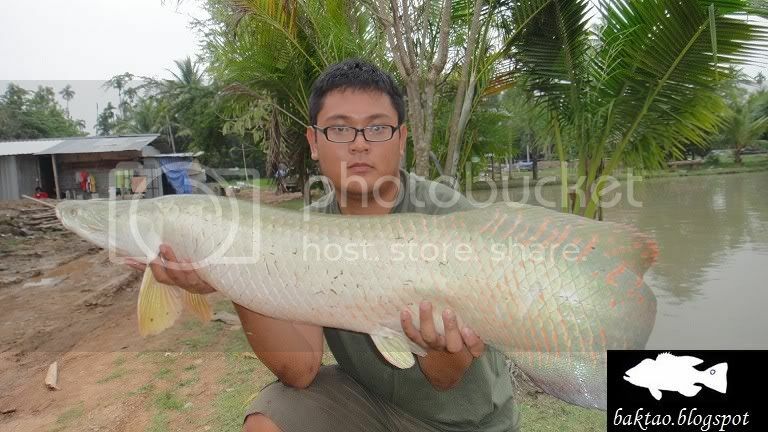 After that i'll be shuttling off to Thailand, BKK to try out fishing up the Giant Mekong Catfish. 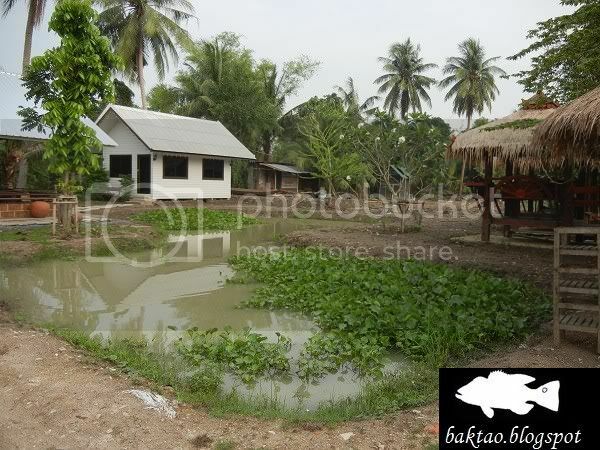 I'll be heading to bungsamran and boon ma pond for some quick fishing. I'll be using John as he's probably the more reliable guide there. 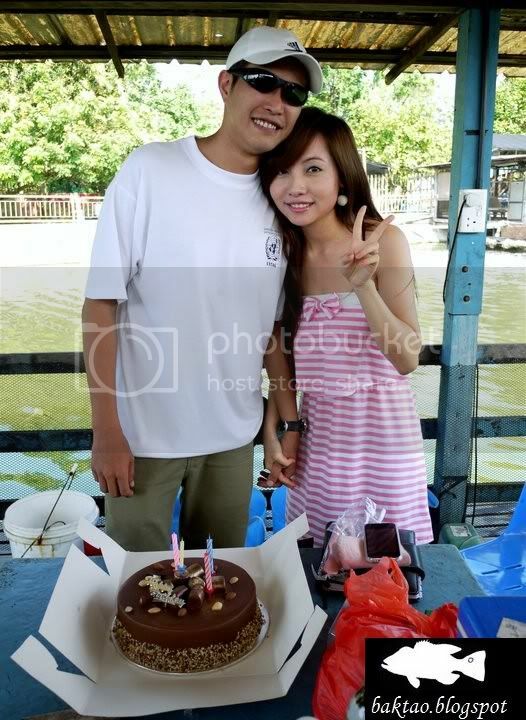 After my Thailand trip, i shall have a trip to Pulau Tinggi for some bottom fishing and jigging. 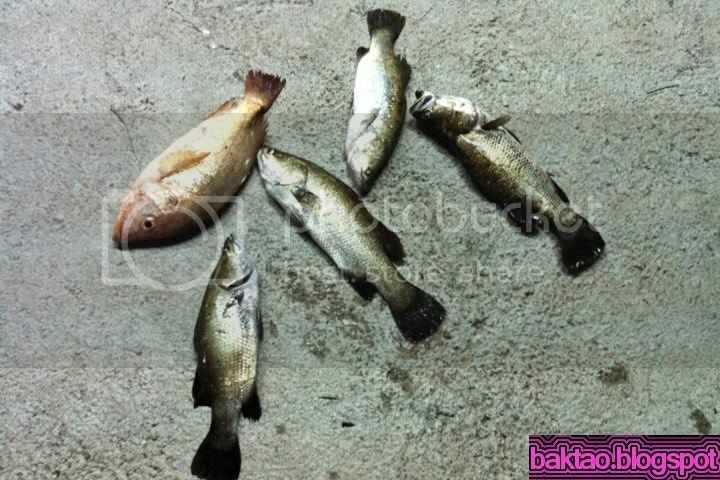 After that is the jigging/baiting trip to Pekan for Ebek/Diamond Trevally. And after that is a Changi offshore trip followed by another Pekan trip. End March, April and May is looking real great for me. Until the next time i update.